Convert the Ampair to watermode and you have an extremely efficient charging system for passages.When doing 4 knots or more we have allways been selfsufficient in terms of electricity out at sea,suppling all needs on a crusier of today(eg. refrigerator,nav.lights,laptops etc). Cruisers with this equipment normally brings a sparepropeller,and so did we.When downwindsailing in heavy winds/surfing at high speed,the propeller can start to "jump" and subsequently create a mess of the propellerrope,in which case you have to stop the boat(heave to?) and sort the mess out.It happened to us when downwindsailing to the San Blas islands as well as when sailing downwind in heavy winds from Palmerston to Tonga.It´s a dreaded scenario that can be tricky to sort out(in worst case you have to cut the rope).We never lost a propeller though. 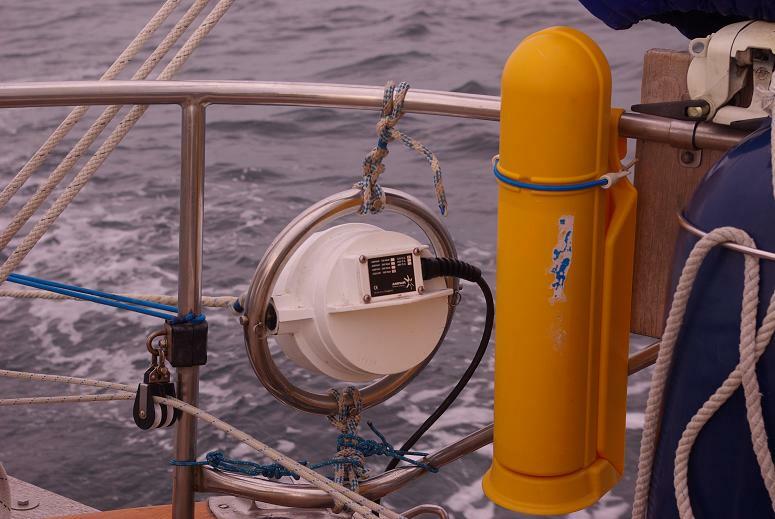 If you need a chargingsystem for oceanpassages,Aquair is highly recomended.